The Oakley Court is a gorgeous country house in the Gothic style, situated on the banks of the River Thames between Maidenhead and historic Windsor in Berkshire. It is the nearest luxury 4 star hotel to Dorney Lakes, Eton – The home of the Olympic rowing 2012. 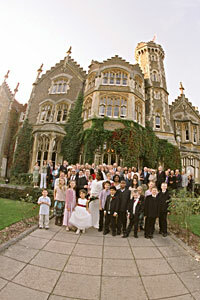 The 19th century mansion sits in over 35 acres of immaculately landscaped gardens rolling gently down to the Thames. Formerly a private residence, Oakley Court gained a certain level of notoriety during the 60s and 70s thanks to its location next to Bray Studios. The building was used as a film set for several Hammer Horror films, including Dracula, as well as being used as Frank N Furter’s castle in the cult classic Rocky Horror Picture Show.